I know we say that every year has been an exciting year for beauty - but 2017 really has been exciting. Not for the trends (in fact, some might say that this year's trends have just extended on last year's), but for the act of widening the road for the many consumers who have not been previously acknowledged in the mainstream market. We have put pressure on brands to be inclusive of customers from all races - and we have achieved results. Fenty Beauty has been a trailblazer in this respect, with a foundation range comprising 40 different shades; and it was reported that the darkest shades sold out incredibly quickly, proving wrong the 'industry experts' who believed that her venture would not succeed. Since then, it has become expected of makeup brands to offer shades to suit all ethnicities. But there is still much more work to be done. I'm looking forward to a 2018 where more brands expand their ranges to include more tones and shades. With that in mind, I'm rounding up some of the most exciting products and brands that made a splash in the industry last year. Of course, Fenty Beauty had to be at the top of this list. And although it was the incredible range of foundation shades that got people talking, it was the Galaxy collection that was released not long after the launch of this brand that kept it at the front of everyone's minds. The Galaxy Eyeshadow Palette sold out almost straight away, but keep an eye out for restocks as these hyper-reflective metallic shades are out of this world (excuse the pun). And, if you can't wait, check out the rest of the collection. Although 2016 was the year of the highlight, 2017 could be said to have been the year of the glow. 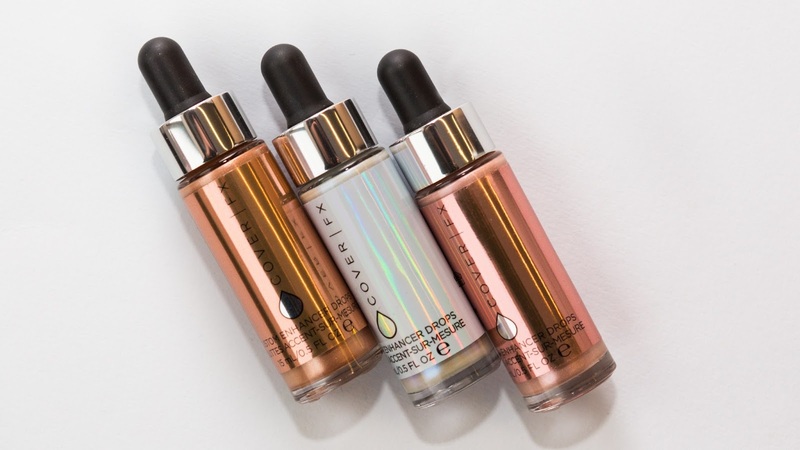 Cover FX's Custom Enhancer Drops appeared in almost every beauty blogger's makeup bag - not just to add a dazzling highlight on their cheekbones or to the centre of their noses, but to mix in with foundation to create an all over radiance that not even an angel could replicate. With nine shades (seven for highlighting and two for bronzing) this product has a versatility that I haven't seen from many other highlighter drops, including Iconic London, or the more affordable Barry M. And the best thing about it is it's not glittery, so it doesn't give the game away. I begrudge paying high prices for skincare, but I shouldn't, because I know that you get what you pay for (a lot of the time - and I'm not saying you can't find good skincare for low prices, but some of the most effective skincare that I have used has come with a pricetag to match). The Omorovicza Rejuvenating Night Cream is an eyewatering £110. But, it's a bestseller from a brand that has grown a reputation for high-end-spa-standard skincare, and has received rave reviews from editors at Vogue and Vanity Fair. It's packed with minerals and other natural, vitamin-rich ingredients, allowing you to wake up to beautiful, rested skin - skin so radiant that you wouldn't even want to wear makeup. I've never been able to achieve the right consistency when it comes to liquid eyeshadow, even with the best primer. Because my eyes are so hooded, the product inevitably creases and I'm left with a thick line of 'no thanks' at the end of the night. However, I've never had a problem with Stila's Magnificent Metals Glitter & Glow Liquid Eye Shadow. This blends smoothly, doesn't wrinkle, and shines like Kate Middleton's engagement ring in 12 gorgeous colours. I don't think the UK beauty market was expecting it when Glossier burst onto the scene last year. The brainchild of Into The Gloss founder Emily Weiss, Glossier was founded when she noticed women getting overwhelmed and frustrated by the sheer amount of beauty products out there, most of which end up being bought, used once, and finally relegated to the cupboard under the bathroom sink. 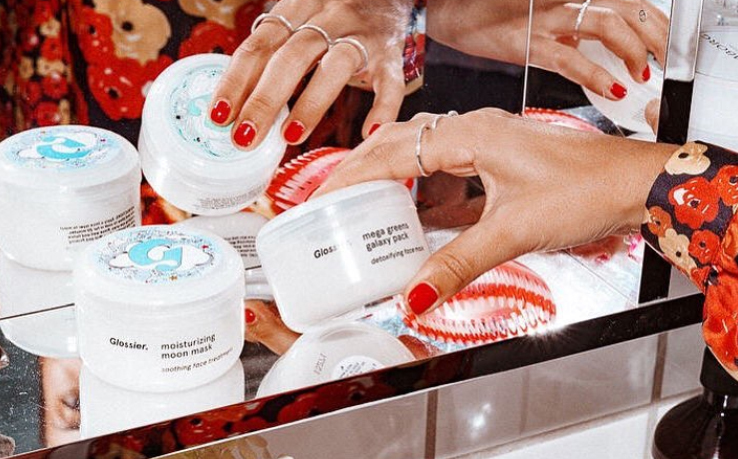 Glossier used social media to build up a cult following, propelling its skincare-first approach to beauty. The brand's Mask Duo is on this list because the two products produce a super fresh base (and give you an excuse to lay down and do nothing while the vitamin-rich ingredients soak into your skin); however, I could pretty much put any Glossier product on here and there would be readers nodding in agreement. Honestly, I do not think I've ever seen a more beautiful palette in my entire life. 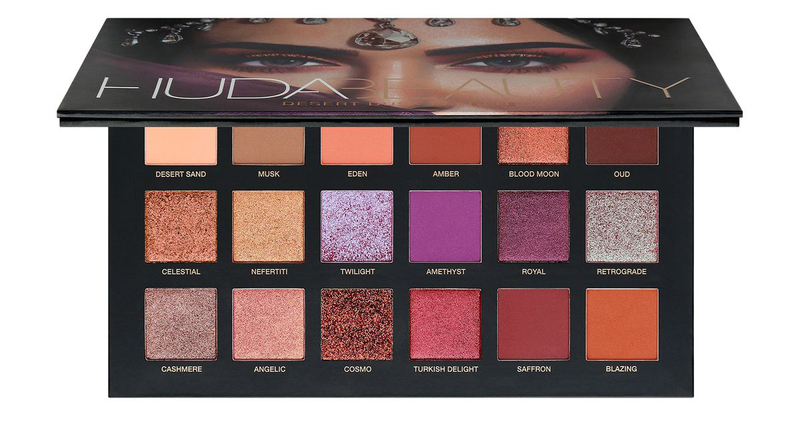 The Huda Beauty Desert Dusk Palette is every shade I ever wanted and more. I mean, just look at 'Celestial' - isn't that the most fantastic shade of rose gold you've ever seen? 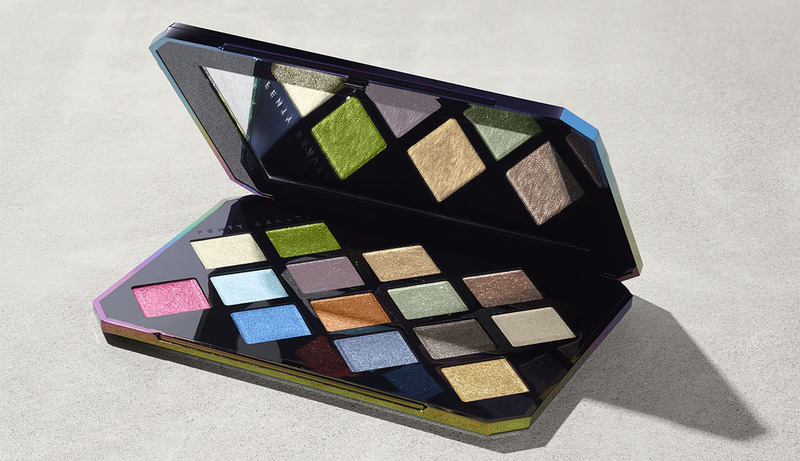 This insanely pigmented palette comprises eight matte shades, six pearlescents, three duo-chrome and one pure glitter ('Cosmo' in case you were wondering). Now, should you spend £56 on this palette? That's up to you; you could probably find similar shades, and just as pigmented, if you shopped around a little. But you're paying for the convenience of having them all in one palette - and all specifically designed to complement each other. You could choose almost any colour combination from this palette and you couldn't go wrong, but then most of us will probably stick to the same three shades we use every day. 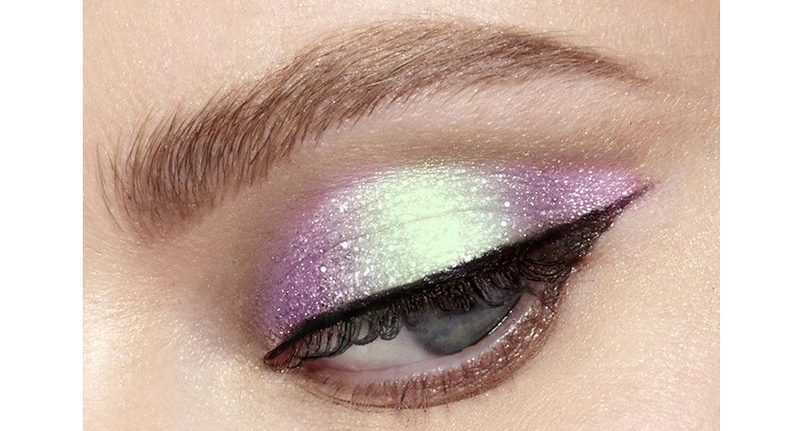 If you're adventurous with your colours and like to mix up your look, I'd say 'go for it'. Once you get over the fact that The Ordinary's Serum Foundation is £5.70 (yes, you read right), you discover a lightweight, medium coverage foundation with amazing blendability. Available in 21 shades, with a range of undertones identified with 'R' (red), 'N' (neutral) and 'Y' (yellow), it features a semi-matte finish and doesn't settle into fine lines. Plus, the SPF 15 provides a bit of coverage from the winter sun. It comes with a matte pump which can get a bit grubby if you don't clean it regularly, or you can order a pipette - but pipettes tend to be more trouble then they're worth for me; I can just see myself dropping it onto my nice cream rug. Overall, a huge cult product in 2017 - and one I shall be repurchasing this year. 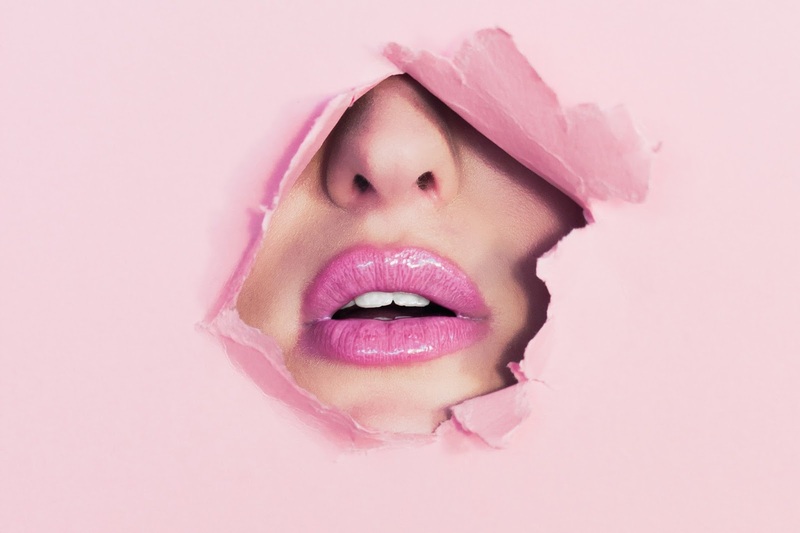 I don't know about you, but I couldn't get through one Instagram browsing sesh without seeing this pink goo dripping down someone's face - namely, this girl's face. The Farsáli Unicorn Essence transformed serums for me, as they were something I never really paid attention to before - I'm more of a cream kinda person. The fact that this is pink and has the word 'unicorn' in the name had me kind of dubious before I saw that it really worked. 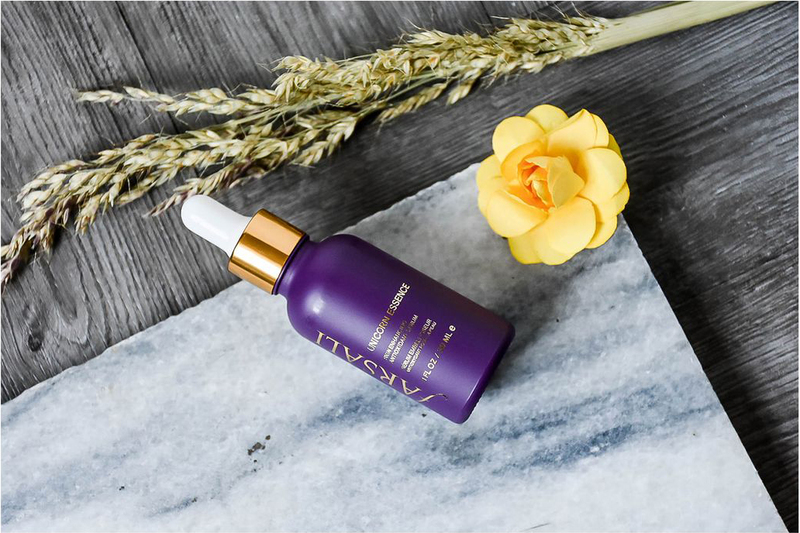 It's one hell of a primer, and contains a whole host of anti-ageing ingredients like acai and blueberry. You can wear it underneath makeup, or on its own for a truly dewy glow. It's £50 a bottle, but I'd say it's worth every penny. What were your favourite products of 2017? Let me know in the comments section!